Finally we present you guide about Frsc summary data page 2018. You’ll see How to Print yours for Recruitment test/screening in PDF Here. Your summary data is a form that contains all the information you entered online via FRSC portal. 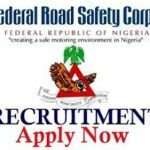 We’ll just give you a straight guide on how to print your Federal road safety corps recruitment 2018 summary data now. 1 How to Print FRSC Summary Data Page 2018? 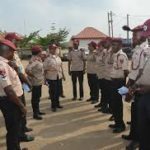 2 What and what are required in Federal road safety (FRSC) Recruitment screening Data Page? How to Print FRSC Summary Data Page 2018? If you can print your summary data page, then you’re good to go. It means that you’re among the successful shortlisted candidates. Now let’s, give you the instant guide on how check your page now. First, check your e-mail – This should be the e-mail address you used during the online registration. If you received the Frsc summary page during your application, kindly use it. 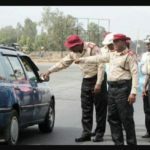 What and what are required in Federal road safety (FRSC) Recruitment screening Data Page? Below are list’s of things you need to have on the page. Your Credentials information and many more. Would you like to know latest job news update about FRSC summary data page 2018? If yes, comment now. Sir,I misplaced my data page and I couldn’t print out another one. Please,can i present myself at the venue for the screening ? The date for my screening is slated for tomorrow . I have my invitation letter with me. Pls I didn’t see any message in my email,what is the next step to take? please how can i print out my page again. the portal is closed and i don’t know how to go about it. please help. Thanks. good day sir, please how do i get my summary page, i have tried to download to no avail. Please about the print out of the summary data page. The one i printed out after my application got missing, and the portal has been shutdown. I dont know what to do now to get another one. My screening is slated friday 28 september 2018. What is the way out for me now?………Thanks. Please notify me sir when the list is out. thanks. I need more information and guide, thanks for updating us. Pls sir,update me more am still waiting for the good news.Thank you. Update Me More Sir Am Still Waiting For Good News. Please sir, more update, I can’t really wait to see the good news I have been waiting for. Thanks for your information. my colleague have enroled while i’m not, i follow due process as stated on our profile to upload deployment letter thinking there will be space for acceptance letter bcos i am with all my document, pls look into it and enroled me thanks.